Marilyn Cornwell Blog: Looking for that Special Address? Looking for that Special Address? Wouldn't it be prestigious to have one's office at 1776 Avenue of the Americas? 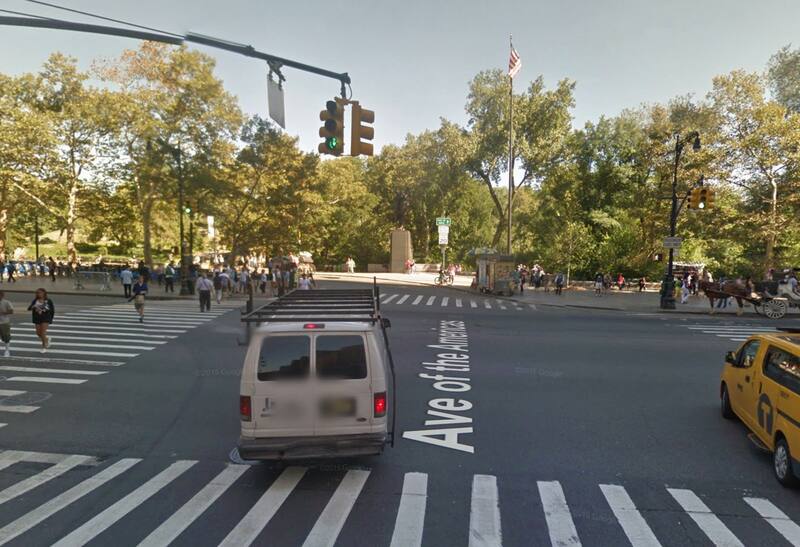 It looks possible in Manhattan, Corona, NY, Newington, Australia , Orlando, FL, and in Miami, FL, The Google map shows 1776 Avenue of the Americas right at Central Park so this would be a prestigious intersection. The equivalent in Canada would be 1867 Confederation Way. This turns out to be in Mississauga near Square One - not a prestigious address or location. Others listed on travel websites are famous places, rather than famous addresses. A site where you can match the number and the street is here. Most of these are U.S. locations. What is the address of the Empire State Building, the Eiffel Tour, or the Statue of Liberty? I don't know the address of the CN Tower (with its 1776 steps) or the address of the Sydney Opera House. Famous places don't need addresses - their names are sufficient. So my search for the top 10 addresses has dead-ended. Along the way, I clipped this picture of the Avenue of Americas from Google maps - it tells its address story clearly.